We were in Falmouth at the weekend and walked to Restronguet on Saturday. 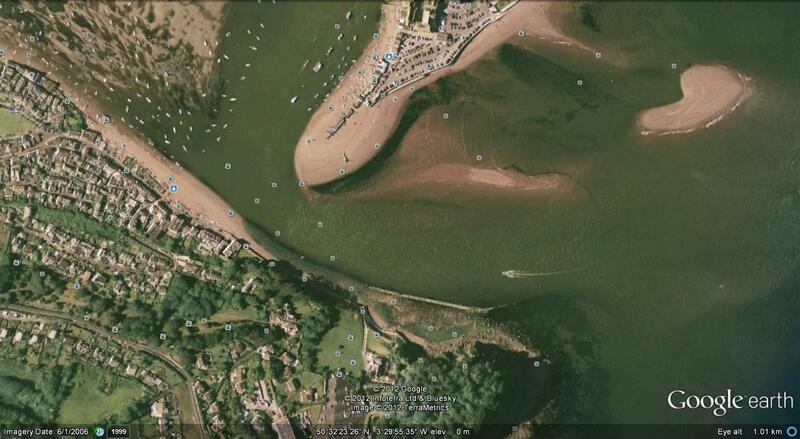 Google captured Teignmouth entrance at low spring tide. At high tide the sand bars are covered. 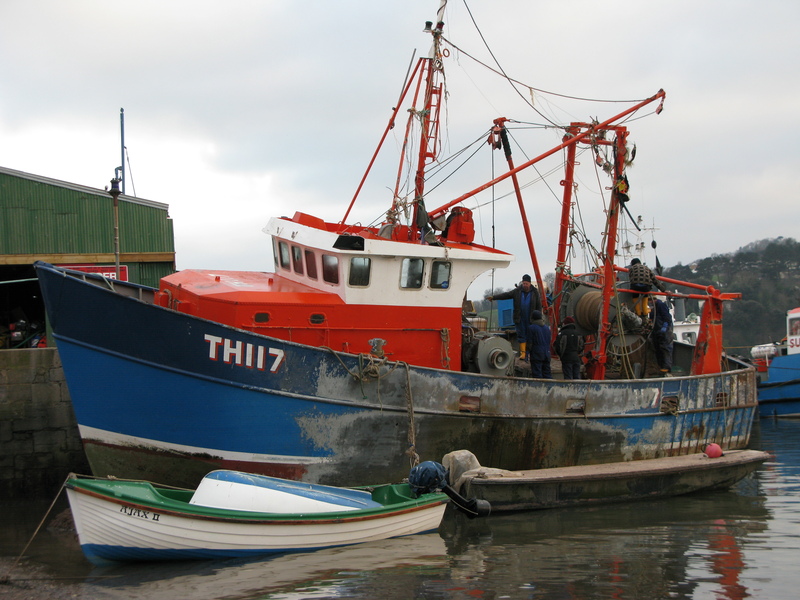 Teignmouth is a working port. Several ships a week safely navigate this channel. 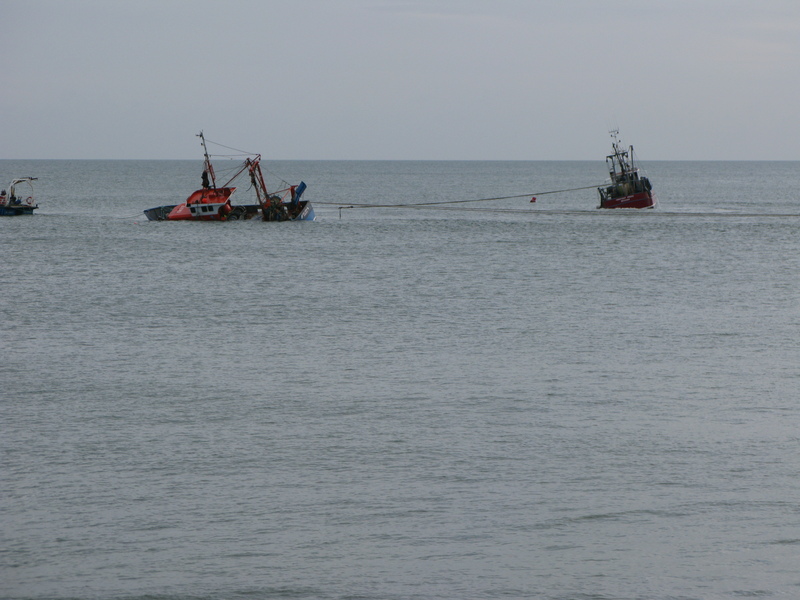 On 30th January, a large wave picked up the Girl Rona, a local trawler and dropped her onto the sandbank to the north of the channel. 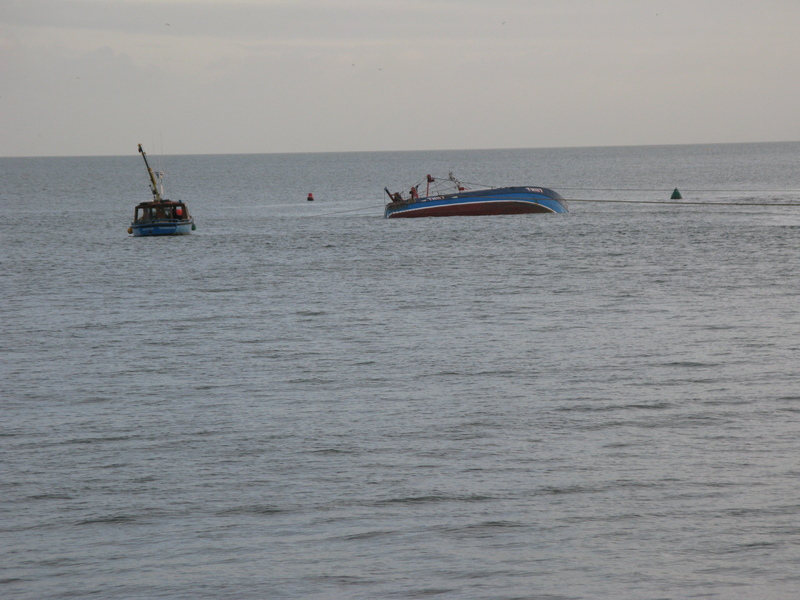 The fishing boat capsized and the five crewmen took to the water, to be rescued within half an hour by the local lifeboat. The wind was easterly and strong and remained so for the next three or four days. The sand is constantly moving as river meets sea and the channel is continually dredged for shipping to enter and leave the port. The longer the boat lies there, the more the sand will build up around her and fill her hold. 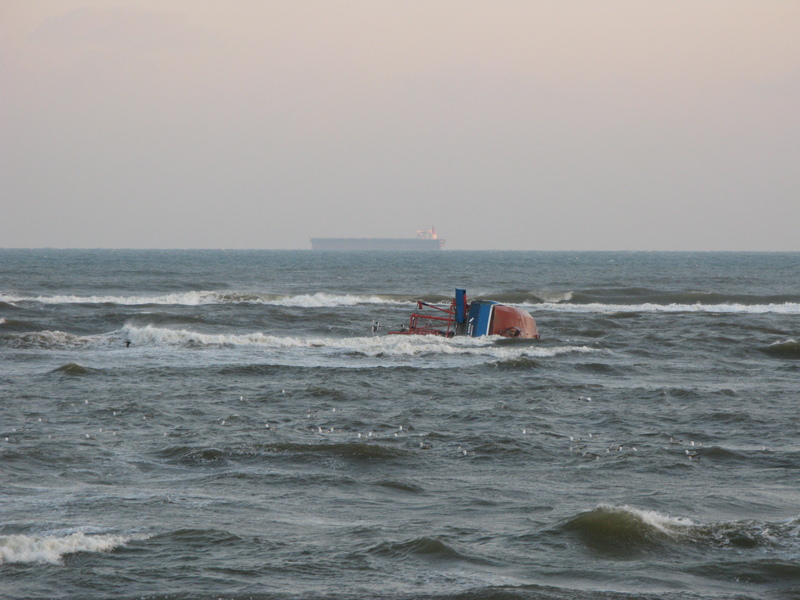 At the first opportunity, a salvage operation must get under way. Sunday, 5th February, the gear has been unloaded and fuel pumped out. Lines were attached . . . 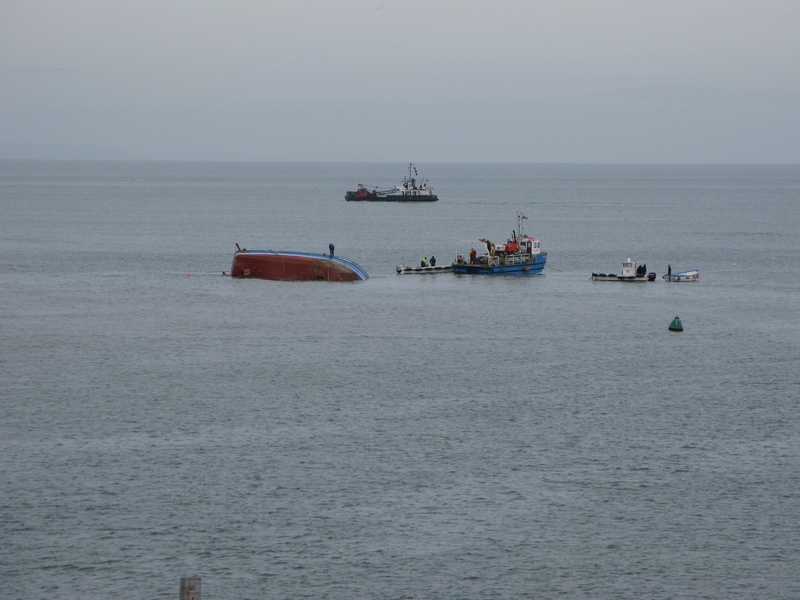 The strain is taken and the boat begins to upright. There is much discussion. Several hundred ‘experts’ watching from the shore all know how to do this better. The afternoon wears on. 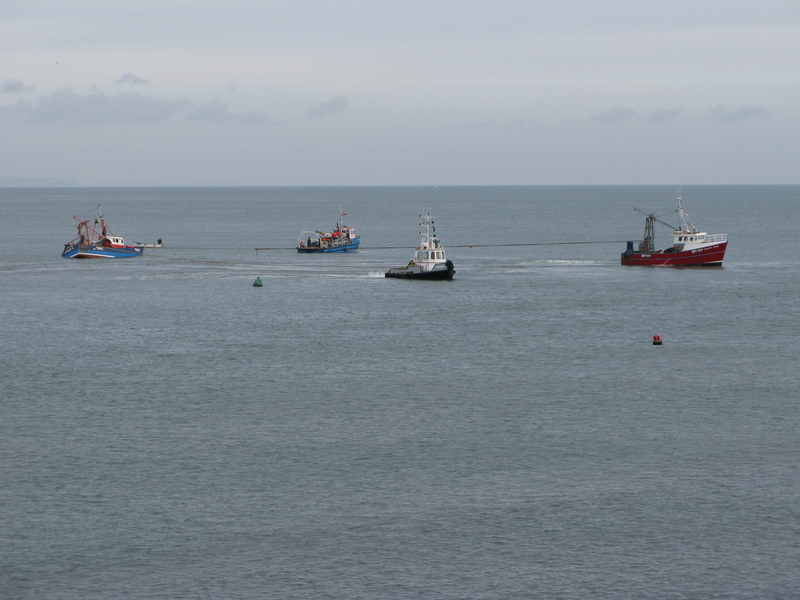 The salvage boats are in the channel. 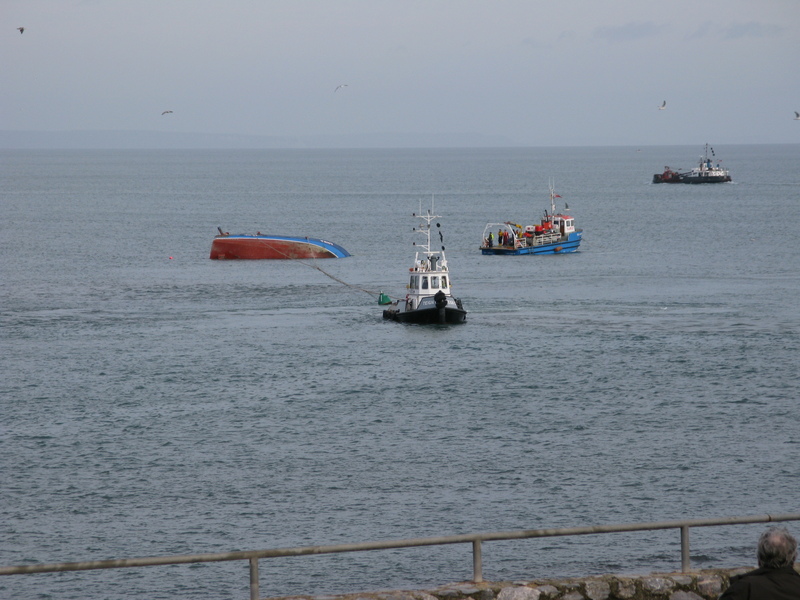 It would seem that the sand has built up between them and the trawler. 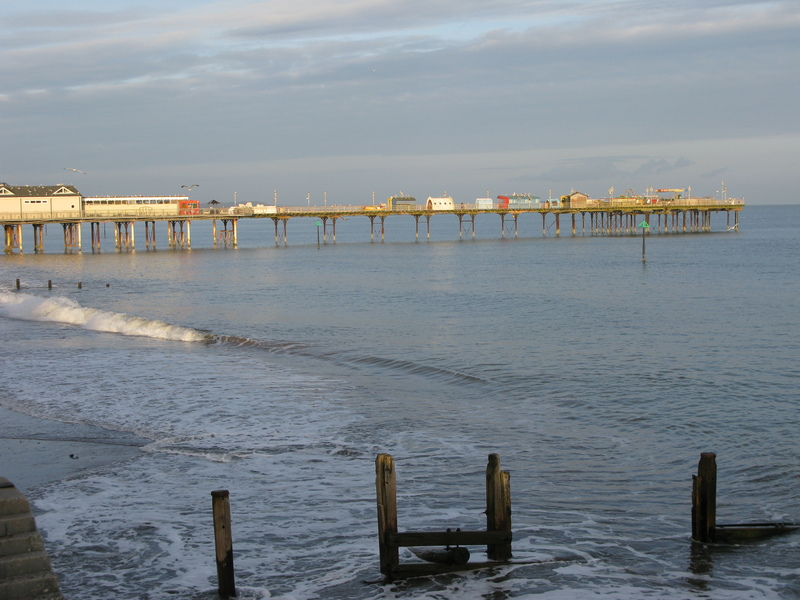 As the late afternoon sun catches the pier. . .
. . . she begins to move . . . but rolls over again. 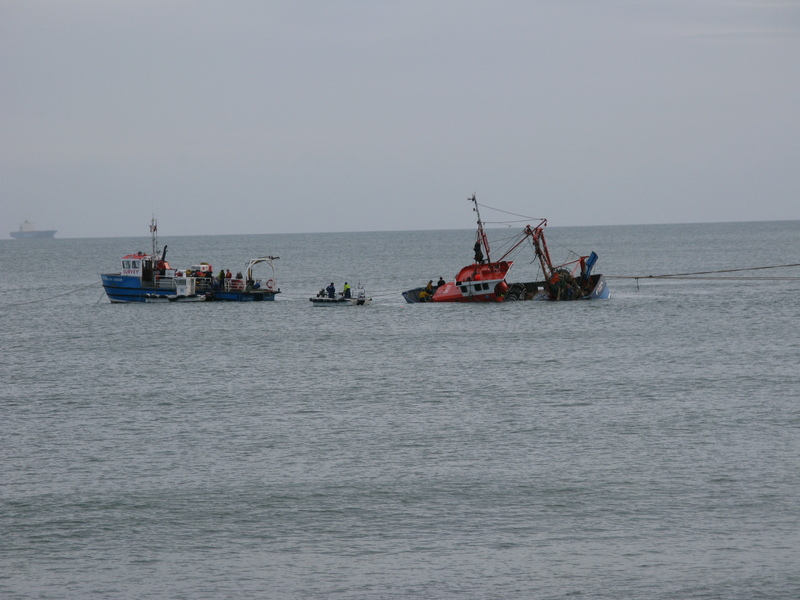 By now the tide has ebbed and the operation is finished for the night. The boat was finally freed the following night, “floating and stable at 0300 and back in harbour at 0430 on Tuesday morning.”. This afternoon, there were five men on board . . . working hard. For them the story continues.